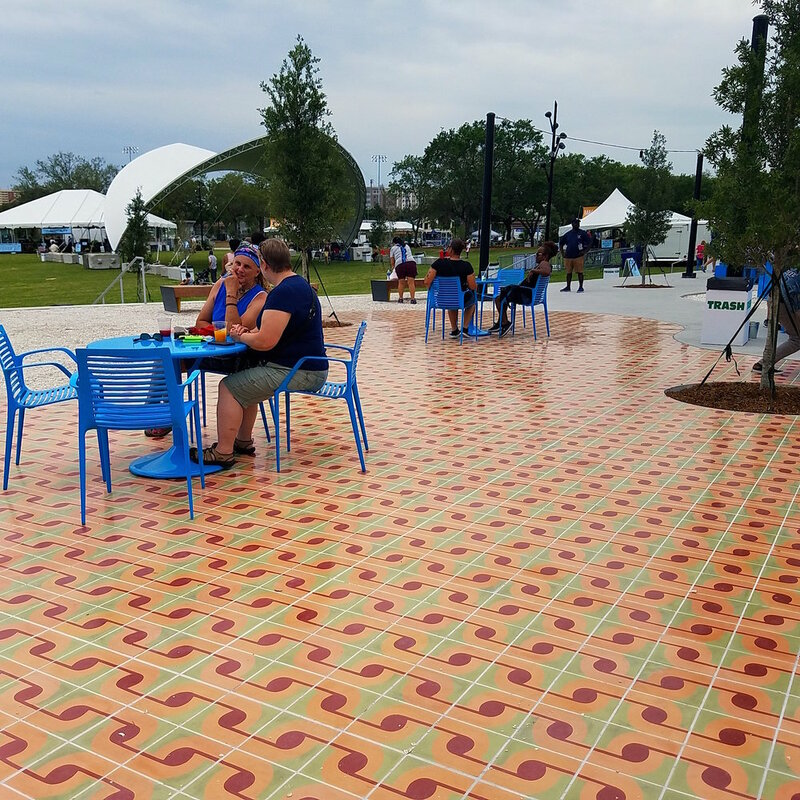 Colorful, encaustic cement tiles were introduced to Tampa Bay by Spanish speaking immigrant artisans and our neighbors to the south. The plaza tiles recall the typical design patterns found in the area and are directly inspired by the cigar labels of The F. Garcia & Company Factory. The cigar factory, built in 1899 on the corner of Garcia Avenue and Arch Street, an area now within the boundaries of the park, was a primary employer for area residents. This section of town was known as Roberts City. Jovi Schnell, West Tampa Promenade, 2018. Commissioned through the City of Tampa Arts. 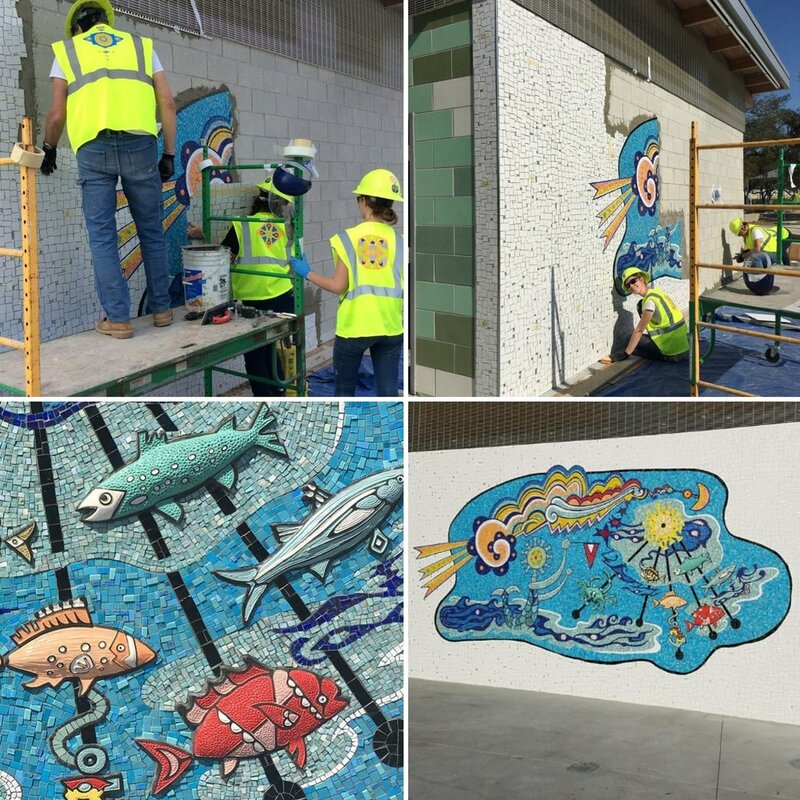 Installation of the mosaic mural for the West Tampa Promenade begins! MIotto Mosaics and crew just installed the 9' x 23' mosaic mural designed as part of my latest public art project for the new Julian B. Lane Riverfront Park commissioned by the City of Tampa. The mosaic includes sculptural fish tiles realized by longtime friend and talented ceramic artist Andrew Dewitt. I am so thrilled with how it all came together! Huge thanks to my project manager Michael Lehman over at BOBOSART for helping to make it all sail. Stay tuned for the tile installation! New public art project for a riverside park in Florida starts to take shape! 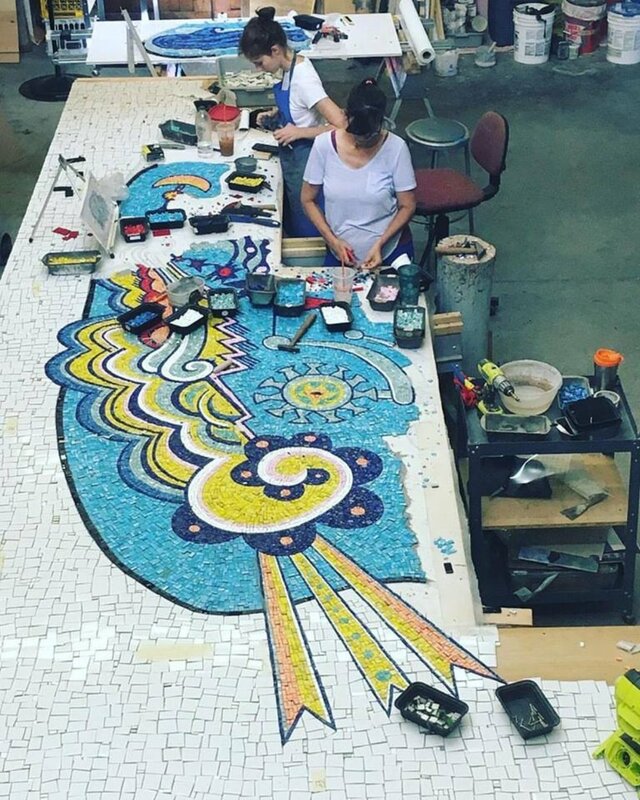 A peek inside the studio of Miotto Mosaics for a multifaceted project designed for the Julian B. Lane Riverfront park in Tampa, FL. This project is being managed by BobosArt Inc. and commissioned through the City of Tampa, FL.